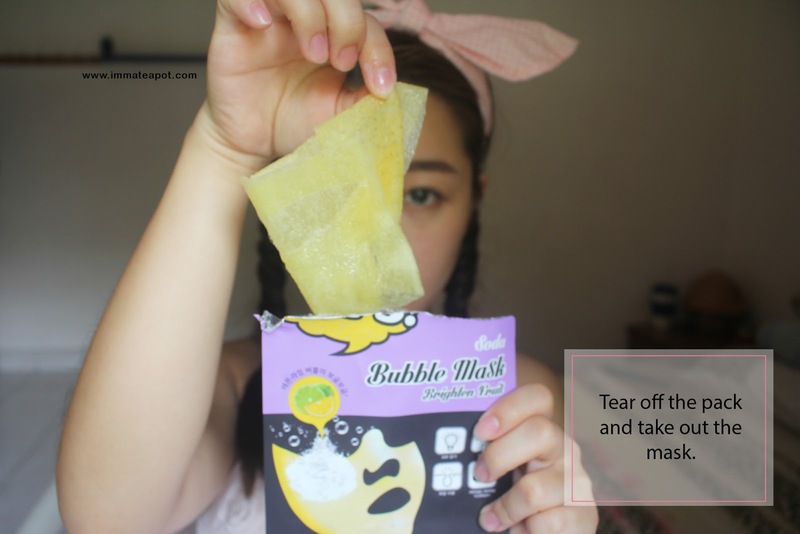 If you are one of the beauty junkies who always stay up-to-date to all the trendy skincare or makeup products from Korea, I'm sure you have heard about the Bubble Mask! I have seen a lot of Youtubers and Bloggers shared about their opinions on the bubble mask and they sound promising! 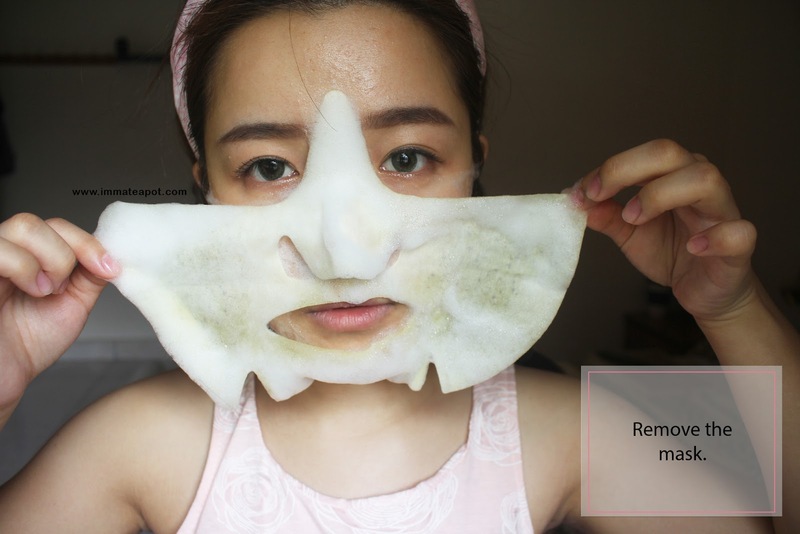 Yet, unlike the usual cream or clay mask that we saw, I am going to review a bubble sheet mask from Berrisom! Yes! A SHEET MASK. 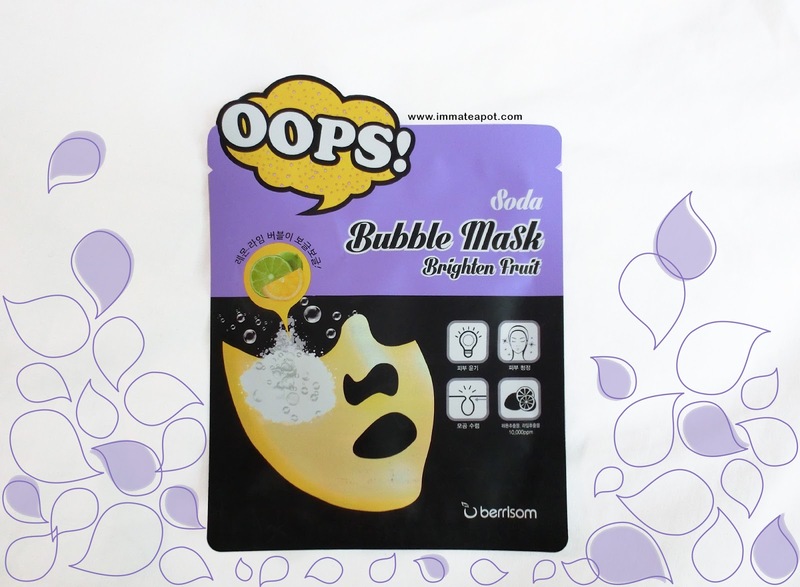 Beside the famous peel off lip tint, Berrisom has come out with an innovative idea of merging both bubble mask and paper sheet mask, namely Oops Soda Bubble Mask. It is a self-bubbling mask that contains of carbonated sparkling water. Of course, it isn't edible. 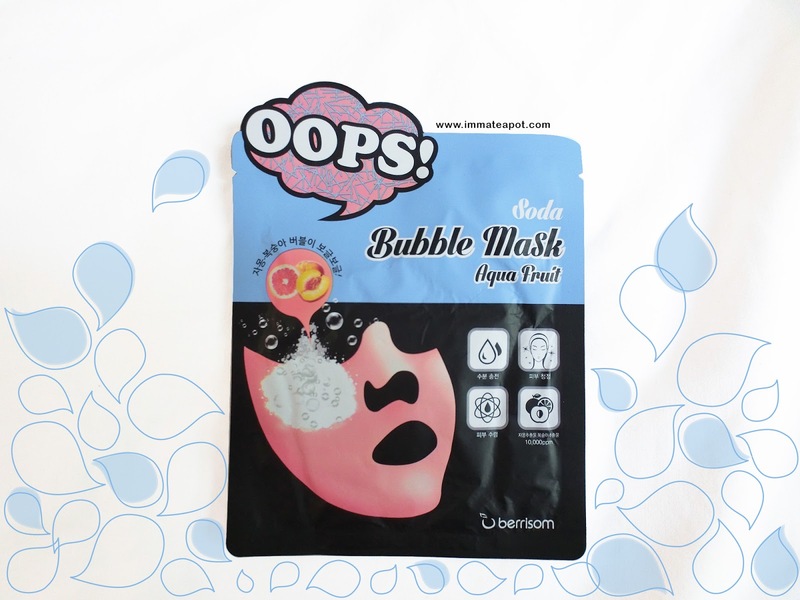 The Oops Soda Bubble Mask comes with 3 variants target on different skin concerns. They are Aqua fruit, Poretox fruit and Brighten fruit. The Aqua fruit contains mandarin, grapefruit, aloe vera and green tea extract. Grapefruit is known with its high antioxidant properties where it helps even up skin tone, geetting rid of wrinkles and fighting off free radicals. Besides, grapefruit is also high in water content. It helps to create an extra moisture barrier on skin, to promote lasting hydration, as well as protection. This mask helps to boost skin hydration, leaving our skin with radiant glow. The Poretox fruit contains natural pure persimmon leaves and green tea extracts, as well as centella asiatica extract. Green tea extract is highly demand in all sort of skincare and beauty products. It helps improving skin complexion, as well as treating acne or pimples. This mask targets on clogged pores, where it helps purify and detoxify the skin, in achieving tighter and finer pores. The Brighten fruit contains concentrated extract of tomato, grapefruit, blueberry, acerola cherry and centella asiatica and lycopene. The centella asiatica (Gotu Kola) extract is a medicinal herb that widely used, as it promotes skin healing where it helps to repair damaged skin cells, as well as get rid of aging. It targets on dull skin, promote fairer and brighter complexion, as well the growth new skin cell. 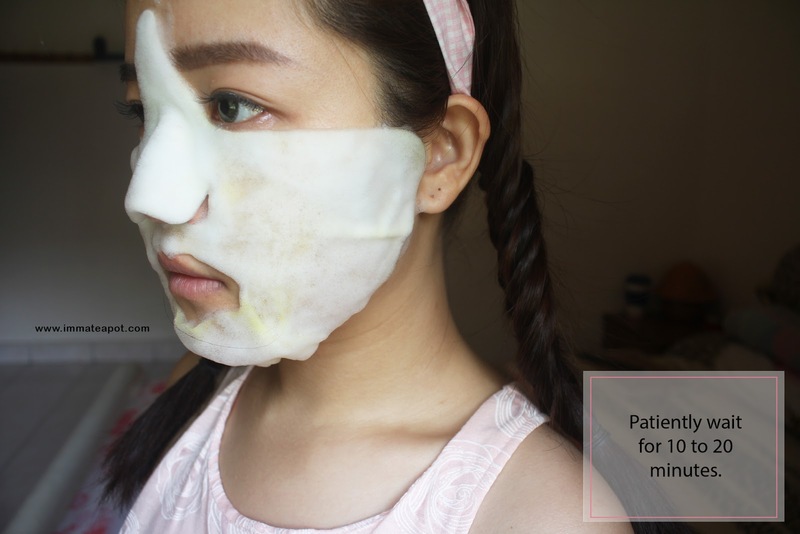 Instead of a mask for whole face, it is a cotton sheet mask that covers up only half face. The mask comes with concentrated essence which slowly turns into bubbles foam after being oxidized. 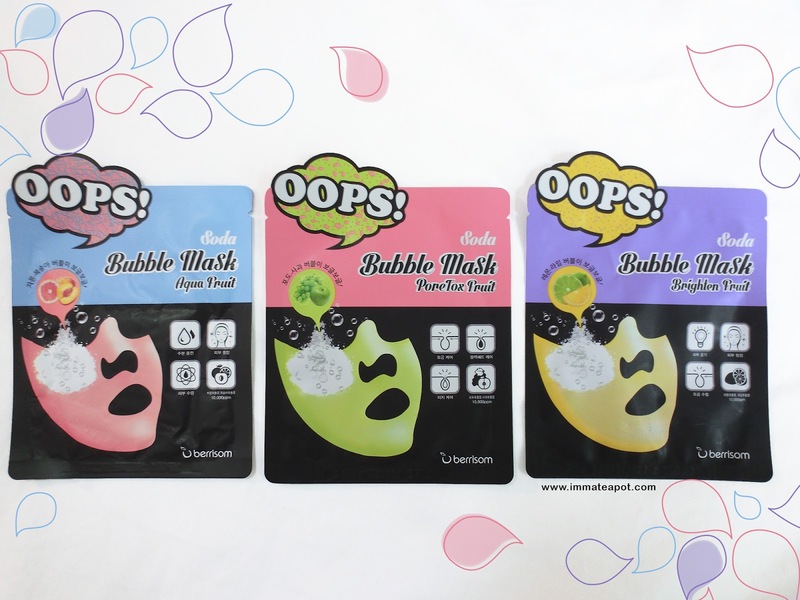 Each of the mask comes with different scent, yet they are all in refreshing and citrus kind of aroma. Step 1: Start with a cleansed face. Tear off the mask pack and take out the mask sheet. Step 2: Gently fit the mask on face, starting from the nose bridge. Step 3: Wait for 10 to 20 minutes. Step 5: Slowly massage the remaining bubbles essence into the skin until it is fully absorbed. Setp 6: Rinse off with luke warm water. I did not realize any significant changes on my face until I checked back my pictures. The difference before and after was indeed distinct! As I was using the Brighten fruit, I saw that face was glowing healthily and it looked way supple! My skin texture turned smooth and the red blemishes on my skin has reduced. During the first application on the mask, I felt there was some burning sensation as the mask started to bubble up. After usage, my skin was tighter and there was a cooling sensation. My skin texture has become smoother although I don't exactly know how much it has hydrated my skin. There wasn't any burning sensation like what I have experienced on the first application. Yet, the distinct was obvious! My skin became so much brighter and fairer. 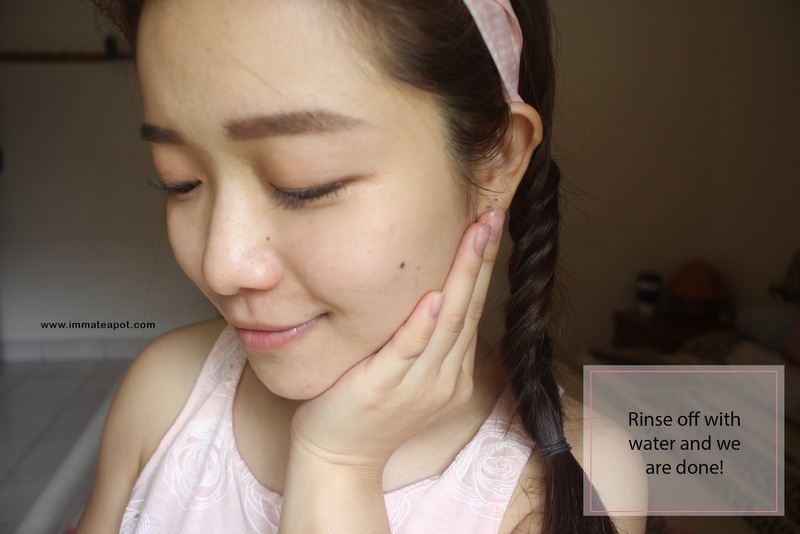 I was surprised that the pores on my skin have minimized and the red blemishes have reduced. There was slight burning sensation on skin but still bearable. The skin texture has improved as it was smooth and soothing. 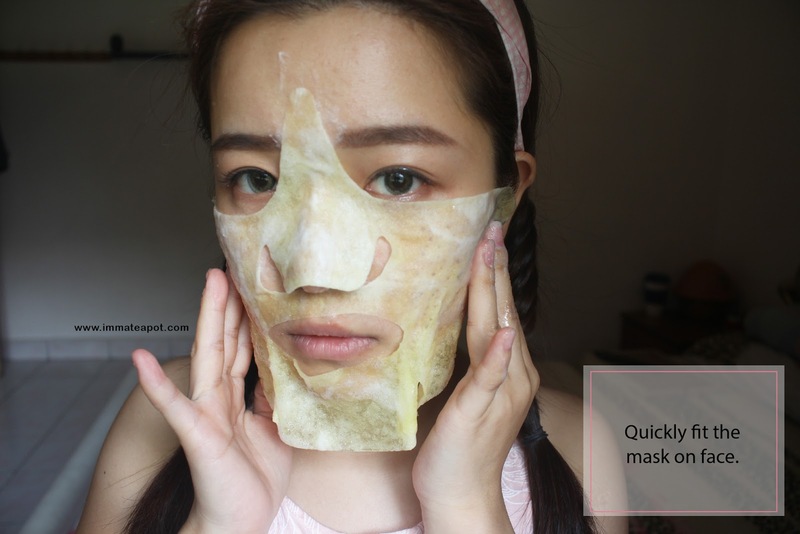 Overall, I think this is a creative mask that makes home treatment become so much joyful and fun! I loves all the natural fruits ingredients in the mask, as I feel it is so much organic and safe to use. It is good that the three variants serve at different skin concerns like pores, hydration and brightening. I don't think I can see much different on the first application but definitely the result is significant after few applications. In contrast, I don't think the mask is for all skin type, especially those will dry and sensitive skin. 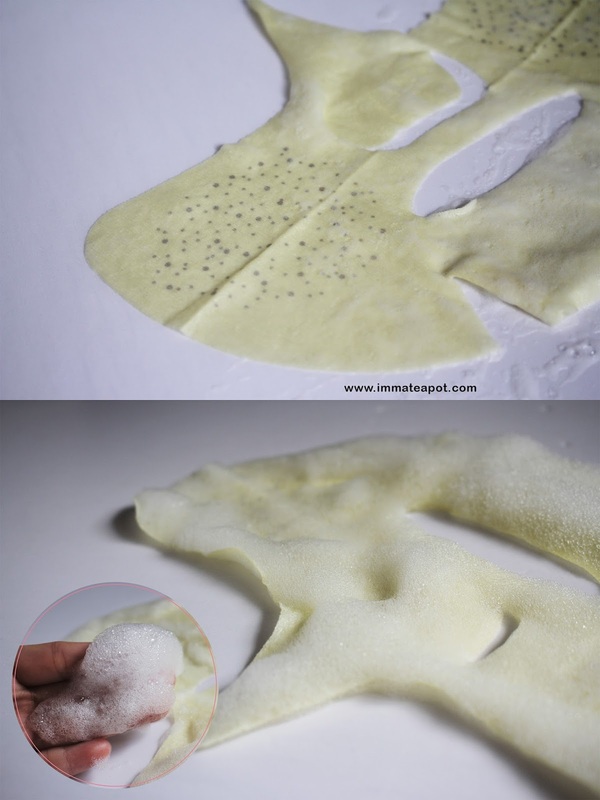 Although be sure to be laying down while applying this mask as it will slide a little as the mask bubbles up pretty quickly - within 2 to 3 minutes. Wao ! something new that i never try before. ! is that suitable for sensitive skin too ? wow. first time heard about this type of mask. seems very nice to use. thanks for sharing!! woo...it's really show the different!! wanna try it too! that's a really cool mask...but is it ok for it to have a slight burning sensation? I love the natural fruit ingredients too. Will get some mask for my own use. Interesing, never heard of Bubble mask! It seems like a skin peeling mask, is it? Looks like I know where to survey my next skincare products. These mask really seems cool and interesting ^.^ Really need to have a try.. I do a lot of masks, almost every day every week :) but honestly, I've never heard of bubble mask, gonna try it out ! WOW seriously I can say this mask is really cool mask. 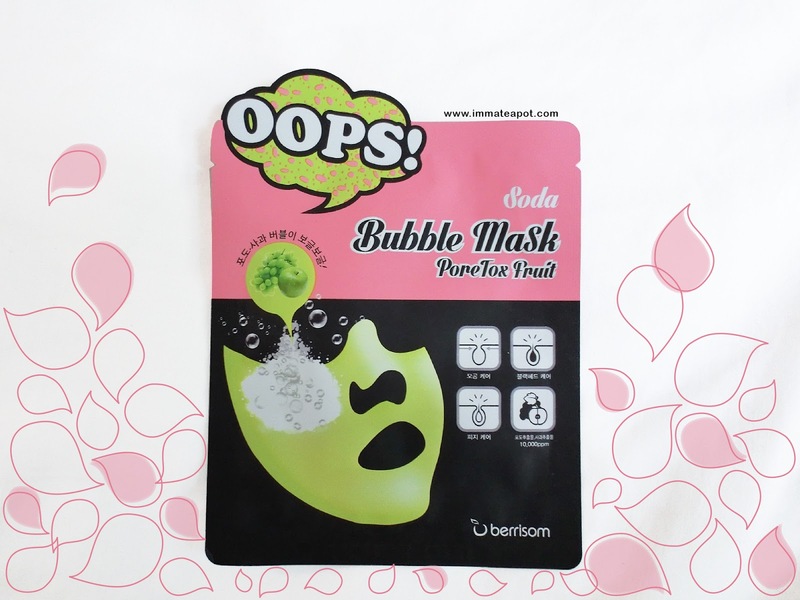 Never try this kind of bubble mask before <3 Works effectively on your face babe! Quite interesting mask to try out and usually they are very nice. I have not try the bubble mask before it looks so refreshing to me. hey you look pretty, so this is how you maintain it ya. Gotta start shopping for masks myself too. Impressive mask as it foam a bubble. I going to get one and try on it. this is new to me!!! but i would love to give it a try!!! First time learning about a bubble mask. How come it doesn't cover the forehead?